In a previous article, we introduced the Event Broker in vRealize Automation 7.0 and walked through some simple examples of how to subscribe to events in a provisioning workflow. In this article, we are continuing our exploration by using the Event Broker to implement a more realistic example. We will walk through how to create a simple validation workflow for virtual machines and how to use the Event Broker to drive it. In our imaginary organization, we have a policy that no development VM should ever be larger than 2 CPUs/4GB RAM. If we violate that restriction, the VM provisioning process should stop with an error message. Also, if a VM is larger than 1CPU/2GB RAM, we want a notification email to be sent to the infrastructure manager. Currently, we implement this restriction through blueprints and business groups, but we have noticed that some groups in our organization don’t seem to enforce these rules and allow creation of blueprints that allow bigger machines. Instead of manually policing this, we want to build a mechanism that enforces these rules, no matter which business group or blueprint they come from. Rather than just listening to events, we need to influence the provisioning process if a user tries to create a machine that’s too large. To do this, we need to introduce the concept of blocking subscriptions. In a typical publish/subscribe scenario, events are delivered asynchronously to subscribers. Sometimes we call this a “fire and forget” mode of delivery. Once a running workflow has fired an event, it keeps on running and doesn’t keep track of whether the event was picked up or if the subscriber needed something to happen to the workflow. Blocking subscriptions are different in that they actually pause the workflow until they have been fully process by the subscribers. Furthermore, a subscriber can send feedback to the workflow by modifying variables or throwing exceptions. Since our validation workflow is going to cause a provisioning workflow to fail if the sizing of a VM violates our limits, blocking subscriptions seem perfect for us! We’re setting up the first part of the event subscription the same way we did in the previous article. Since we want to check things before we provision a machine, we subscribe to the PRE-condition of the BuildingMachine-event. Whether a subscription is blocking must be determined when you create the subscription and can’t be subsequently changed. We specify this in the last screen of the subscription definition. Notice the checkbox marked “Blocking”! When we make a subscription blocking, we also need to specify its priority and timeout. The priority helps us run the subscriptions in a deterministic order. The subscriptions will be run in an ascending order of priority (lowest number first). Since blocking subscriptions pause the workflow while they’re executing we need to prevent workflows from “hanging” indefinitely if some code called by a subscription is faulty and doesn’t return within a reasonable amount of time. The default timeout is 30 minutes, but since the checks we’re going to perform are very simple, 5 minutes should be more than enough. If our subscription hasn’t finished after 5 minutes, something is definitely wrong! By default, the virtual machine properties aren’t passed to subscription workflows. To do this, we need to set the property Extensibility.Lifecycle.Properties.VMPSMasterWorkflow32.BuildingMachine. You can set the property at any level, including the blueprint, business group, reservation, etc. In our case, we’re defining it on the vCenter endpoint. This way, anything that comes from that endpoint will pass the properties to any subscribers. The value of the property should be the names of the properties you want to pass. Wildcards are accepted, so we’re just setting it to “*”, meaning all properties are passed. Our vRO workflow will simply dig out the memory and CPU settings from the provisioning data and compare them to the limits we specified. If we hit the “hard” limit, we should halt the provisioning with an error message. If we only hit the “soft” limit, we let the provisioning continue, but send a notification email. The checks should be somewhat self-explanatory, but let’s have a look what goes on in the first scriptable task (Extract parameters). The first line parses the “machine” parameter passed by the Event Broker. If you recall from our previous article, this variable contains all the information about the machine being provisioned encoded as JSON. Once we’ve parsed it, we can treat it as an associative array and pull values out of it. The last two lines simply pull out the CPU count and memory size and sets them as attributes on the workflow so that they can be picked up by the subsequent checks. Next, we have two sets of checks. The first one checks CPU and memory allocation against our “hard” limit and throws an exception if we are in violation. Throwing an exception in response to a “BuildingMachine” event will stop the entire provisioning workflow with an error status. The second set of checks test against the soft limit. If we violate that limit, the provisioning workflow will continue, but an email will be sent to an administrator advising them that a soft limit was violated. The only thing of interest in this branch is the building of the email message and subject line from the machine data. Here we’re reusing the “parsedMachine” structure we gained from parsing the input parameters. All we have to do is to reach into it for the machine name and the owner and merge that into a subject line and message body. To test the event subscription, we provision three machines: One that doesn’t violate any limits, one that violates a soft limit and one that violates a hard limit. You may only stop a vRA workflow from a subscription in the PRE-state of an event. In other words, you have to stop it before any default processing related to that event takes place. Currently, stopping a vRA workflow by throwing an exception is only supported in the following states: BuildingMachine, MachineProvisioned, MachineRegistered. 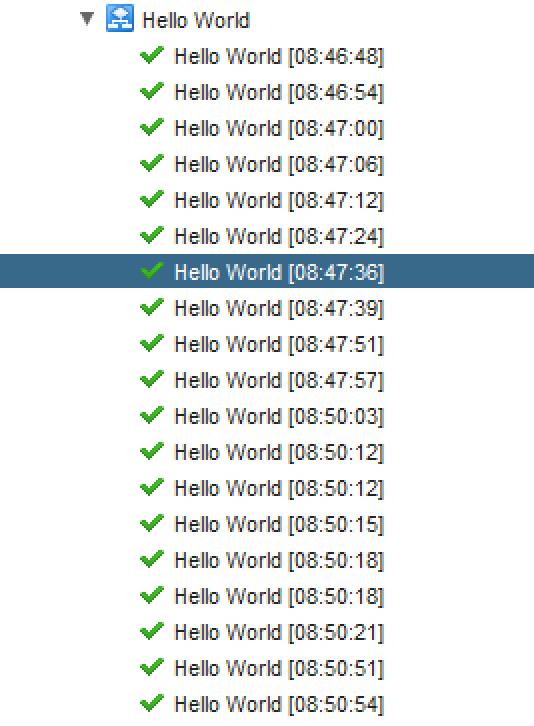 Throwing an exception in any other state does NOT stop the provisioning workflow. If you want to stop the provisioning workflow from any other state, see below! As mentioned above, the subscription must be marked as “blocking” once it’s created. As mentioned above, provisioning workflows are only stopped on error if they are in any of three distinct states (BuildingMachine, MachineProvisioned, MachineRegistered). If you want to stop a workflow or change its progression from another state, you still can but the mechanism is different. Remember the workflow parameters we discussed in part 1? It turns out that if your vRO workflow responds to a blocking subscription, you can declare some of the parameters as outputs and change their value from within the workflow. This can be very useful for workflows that update the machine name, for example. But there is also a special parameter called “virtualMachineEvent” we can use to control the progression of a workflow. 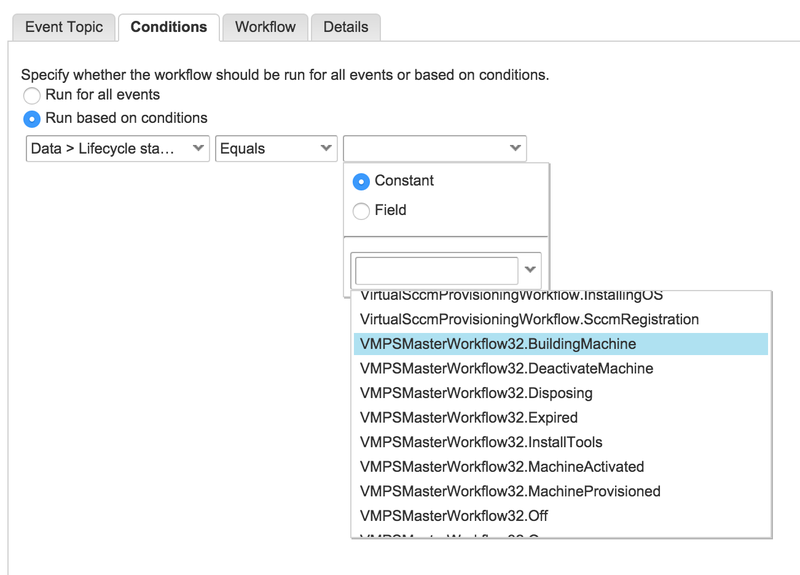 All we have to do is to assign the name of an event to the “virtualMachineEvent” variable and that event will be processed by the vRA provisioning workflow. 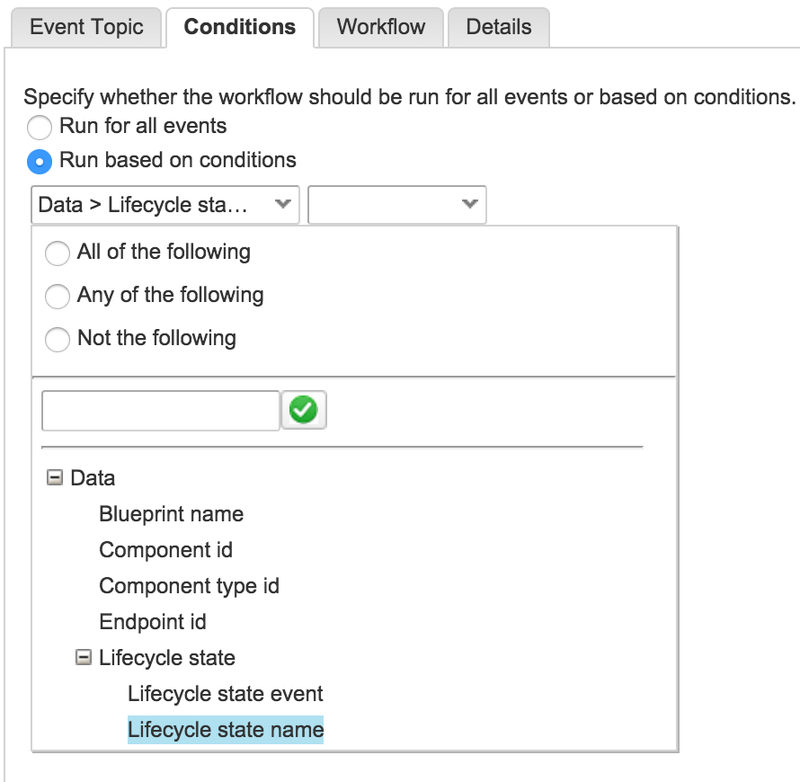 There are many different events a provisioning workflow can accept (see the full list here), but the ones we’re interested in here are “BuildFailure” and “BuildSuccess”. As you may have noticed, when you send events, you skip the leading “On” in the event name, so “OnBuildFailure” becomes “BuildFailure”. BuildFailure – Stops the provisioning workflow in a failed state. BuildSuccess – Stops the provisioning workflow in a success state. The subscription must be blocking. The subscription must be in response to the PRE-condition of the event. This installment in the series about the Event Broker has been focusing on blocking subscriptions, i.e. subscriptions where you can change the outcome of a provisioning workflow. We started by showing how you can stop a workflow in certain states by throwing an exception and went on to a more generic version of workflow control using the virtualMachineEvent variable. In the next installment, we will discuss more “exotic” events, such as log events and blueprint editing events. The sample workflow discussed in this article can be found here.